Why Do People Snore?And How To Prevent It! People that snore on a regular basis usually have disruptive sleep patterns which lead to fatigue, irritability, depression, increased health problems and sexual dysfunction. And it’s not only snorers that develop daytime problems from a lack of sleep; you keep your partner awake too. What’s more they suffer from the same issues mentioned above. As a consequence, relationships for snorers can often deteriorate. Thankfully, there is a solution. And no, we don’t mean sleeping in separate rooms. The best way to stop snoring is with an anti-snoring pillow that changes your posture. When you sleep the neck muscles relax. In some sleeping postures, most notably the supine position, on your back, the upper airways in your throat and nose become too narrow and cause the surrounding tissues to vibrate. Snoring is more prevalent in people that sleep on their back, although not everyone that sleeps in the supine position snores. People that snore tend to have enlarged tonsils, or your tongue falls back and partially blocks the airways in your throat. Anatomically, snoring can also be caused by the shape of your nose or jaw. If the structure of the temporomandibular joint, the tissue that spans from the temple to the jaw, is stretched while you sleep, it can narrow the airways in your throat and nose. There are several other reasons for why people snore; age, obesity, nasal problems and alcohol can trigger snoring episodes. However, if you snore regularly, the most likely cause is because of your sleeping posture. The position you adopt in bed plays a crucial role in the quality of sleep. 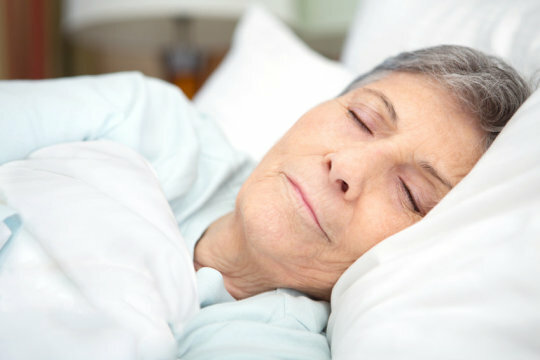 Studies found that snorers and people that suffer from obstructive sleep apnoea (OSA), typically lay on their back. When you sleep in the supine position, gravity forces the tongue and soft palate to fall back towards the throat. This subsequently obstructs the airways and causes breathing abnormalities. An easy cure for snoring is to change your sleeping posture and lay on your side. In the lateral position the airways are stable and less inclined to collapse. However, some people experience difficulty falling to sleep when they change position. When sleeping postures feel unnatural it’s much more difficulty to get comfy whereby sleep becomes inhibited. The best solution for snorers that can only rest on your back at night, is to adjust the position of the chin. Your chin needs to be higher so that the airways in your throat are not too narrow. This allows air to pass freely without causing tissues to vibrate. Anti-snoring pillows can help. They are designed with a cervical ridge that elevates the head and provides stability for the natural curve of your neck. With your head in a neutral position, you breathe naturally. The anti-snore pillow manufactured by Snorewizard is made from memory foam which moulds into the natural contours of your head and neck. Subsequently, the weight of your head is evenly distributed so that it holds in a natural position and prevents snoring. There is no point inviting health or relationship problems just because you can only sleep on your back. If you’re a regular snorer, purchase an anti-snore pillow and treat yourself, and your partner, to a good night’s sleep.